KFC adds new Boneless Chicken Breasts to the menu as an option for the $20 Fill Up at participating restaurants. 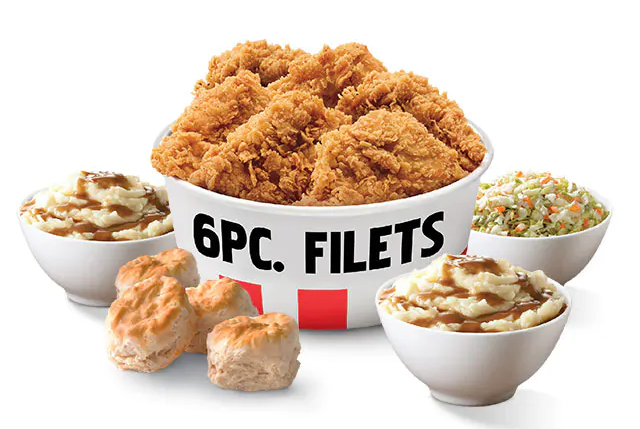 For $20, you can get six Boneless Chicken Breasts, three large sides, and four biscuits. The chicken breasts appear to be Extra Crispy rather than Original Recipe. KFC has offered boneless chicken breast twice before. Once in either grilled or Original Recipe versions back in 2010 and again as part of their big boneless chicken push in 2014. 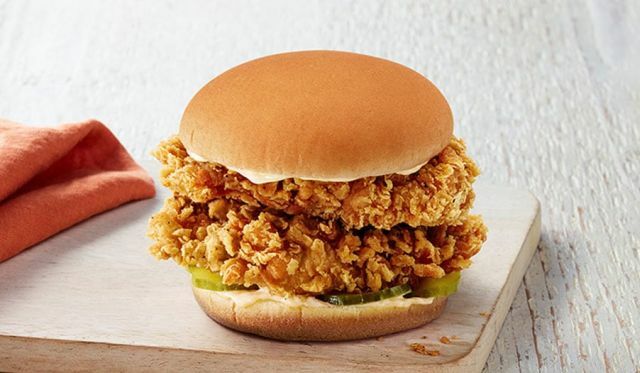 Also new, KFC is now offering a double filet version of the Crispy Colonel Sandwich called the "Double Crispy Colonel Sandwich." It's the same as the original but with twice the chicken. 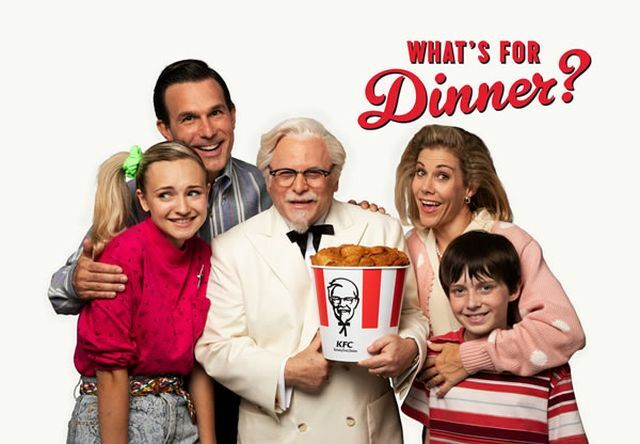 Along with the new items, KFC is introducing actor Jason Alexander as the "Family Colonel."